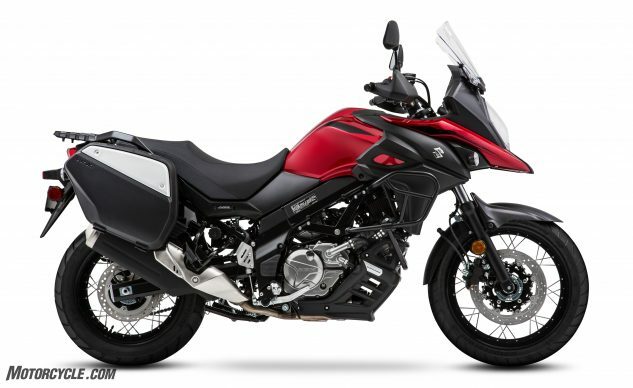 The Suzuki V-Strom 650XT has proven popular with fans of middle-weight adventure touring motorcycles. Couple that with a plethora of accessories available directly from Suzuki and the aftermarket, and you’ve got a flexible mount for either commuting or racking up the miles. Still, some people don’t want to bother with outfitting their bike with accessories, preferring that the essentials be installed directly at the factory. 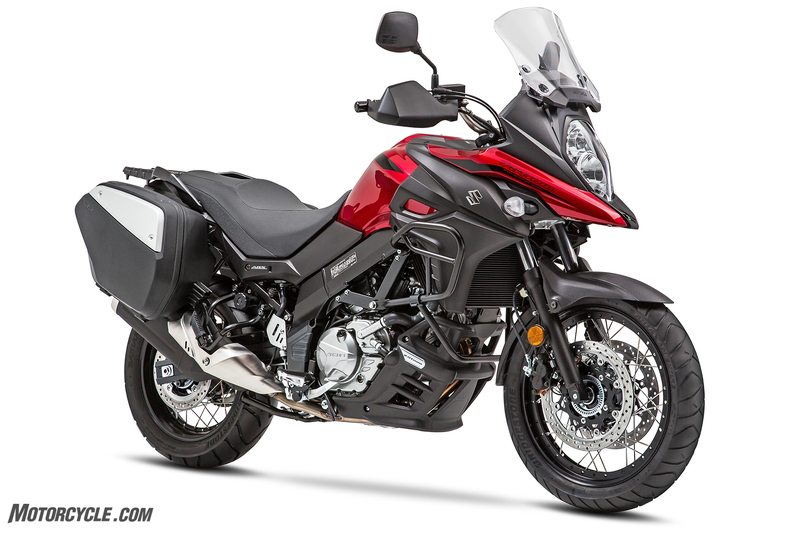 The release of the 2019 Suzuki V-Strom 650XT Touring should make these people very happy. The heart of the V-Strom 650 line has always been the SV650-based engine. Tuned for a strong bottom end and mid-range, the Strom uses 39mm throttle bodies with servo-motor controlled secondary butterflies to smooth power delivery. The Touring also receives Suzuki’s Advanced Traction Control System for rider confidence in varied riding conditions. The 43mm fork, twin-spar aluminum frame, and aluminum swingarm connect the 19-inch front wheel with the 17-inch rear. The spoked wheels carry Bridgestone Battlax tubeless radial tires for travel on pavement with a little bit of dirt road thrown in. Stopping comes courtesy of dual 310mm discs and two-piston calipers plus a rear 260mm disc with ABS. However, what separates a V-Strom 650XT Touring from a plain old XT are the installed accessories. The hard saddlebags are keyed to the motorcycle ignition for easy locking and removal without burdening you with extra keys. The Touring also receives an accessory bar that should offer protection in a tip over. Finally, the included center stand should make maintenance and loading the bike much easier. Suzuki starts the price for the V-Strom 650XT Touring at $9,999. Get price quotes for Suzuki V-Strom from local motorcycle dealers.